After our horrible experience last weekend, we decided to remind ourselves why we chose to move out to the country and chase our dream of becoming self-sufficient. 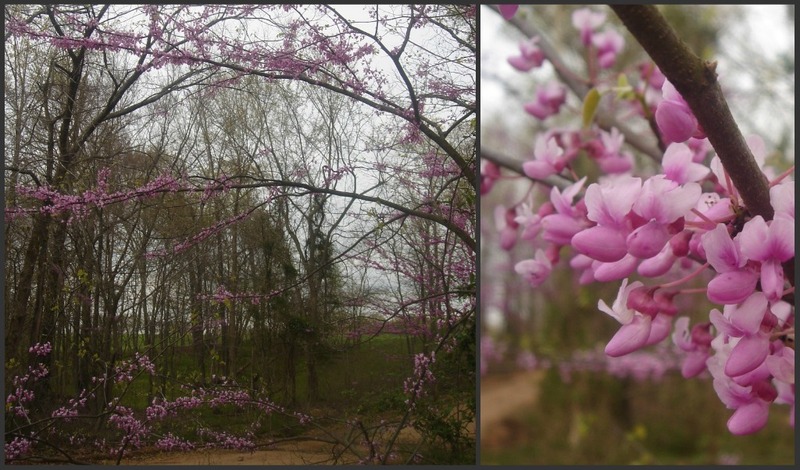 We walked around the property, breathed in the unusually warm March air, and let nature do the talking. We know without a doubt that this is where we are meant to be. The sad times seem to reinforce our decision to move out here and pursue our goals, rather than have us question it. For that I am thankful! This quote (author unknown) pretty much sums it up - "When something bad happens, you have three choices. You can either let it define you, let it destroy you, or you can let it strengthen you." It is a choice to be happy and strong. A choice we all have to make every day. In moving forward, we decided to keep with our original plan of adding to our egg-laying flock and get some more baby chicks. Several stores around here sell chicks this time of year, so we got the new babies locally. We have eight baby chicks total, so this is just a taste of the cuteness. Lots more to come on these sweeties! Cute chicks! How about that play on words? Love the quote. Lovely photos. Awww, I'm so glad you got some more baby chicky's. They're so cute. They'll be big by the time I get there in June.